Learn with our video tutorials. Search our Knowledge Base. Review our FAQ. 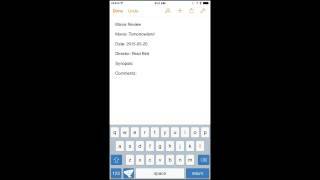 This video covers: setting up Dropbox and iCloud sync, creating snippets, setting up keyboard, using custom keyboard, using Notes. This video covers: insert menu, adding macros, preview, format menu, group settings, predefined groups, keyboard layouts, sorting snippets. 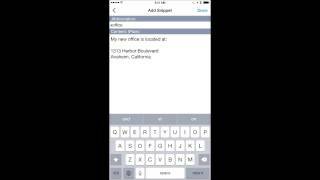 This video covers: creating snippets on OS X and iOS, syncing, editing in OS X and iOS. For keyboard setup directions check out our Help. 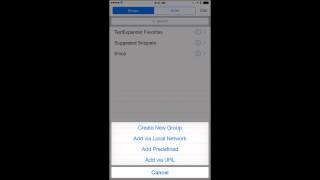 Check out Transitioning from TextExpander touch 2 to 3 for assistance on switching over. For other keyboard questions check out our Knowledge Base. Does TextExpander touch have the same functionality as TextExpander for the Mac? Given the current feature set of the iOS, TextExpander touch cannot work in the background (as it does in Mac OS X), expanding text snippets while you work in other apps, except for TextExpander-enhanced iOS apps. You must first compose your text in the TextExpander touch Note screen, and then transfer it to another app. Which iPhone and iPad apps have TextExpander-integration built-in? See this complete list of TextExpander-enhanced iOS apps. You'll find popular apps like Elements, Nebulous Notes, iA Writer, Things, Twittelator, Simply Tweet, Simplenote, WriteRoom, and many others. I want TextExpander touch in my favorite app. What should I do? Let the developers know! Send an email and give them the link to our free SDK: https://smilesoftware.com/sdk. Developers are usually responsive to customer requests. You can also email us and let us know that you think your favorite apps would be great with TextExpander integration, so we can contact the developer as well. Do I need TextExpander for the Mac to use TextExpander touch? No. You can use TextExpander on your iPhone or iPad without having TextExpander on your Mac. You can create snippet groups, add new snippets, and assign abbreviations to them on the iPhone. You can also add Predefined groups (like AutoCorrect or Symbols), as well as add external snippet groups that you have uploaded to the internet. Can I sync with the TextExpander snippets on my Mac? Yes. In the TextExpander touch settings, tap on "Sync Snippet" and select Dropbox, iCloud Drive, or older style Dropbox sync if you also use TextExpander 4 for Mac or TextExpander touch 3.2.4. If you are setting up sync for the first time, or moving the location of your syncing snippets, select "Save Snippets As…" If you already have your snippets in Dropbox or iCloud Drive, select "Link to Snippets…" and locate that file to link to it. Need more? See our Knowledge Base. If you can’t find the answer you need in the Help or the FAQs, contact TextExpander touch Support. Smile's responsive support team will answer your email as quickly as possible! TextExpander touch 3 and later requires an iPhone, iPod touch, or iPad running iOS 8.